The ergonomically designed AVANTE Premium Executive Office Massage Chair integrates a clever 8-point massage system to soothe aching muscles at a desk or table setting. By an extensive remote control, you can select from 6 different massage modes and 3 intensity levels that act to relieve back tension, promote leg circulation and provide all-round comfort. 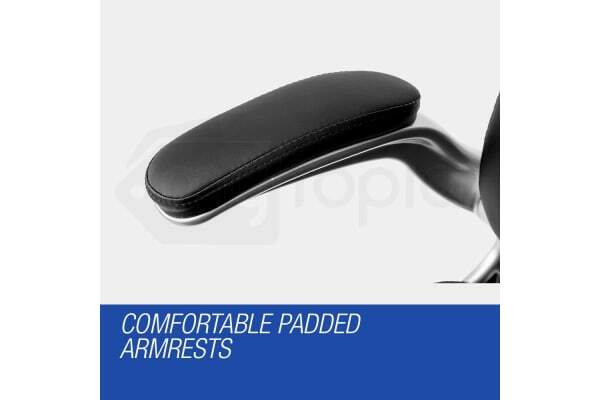 Thick multi-layer padding makes the chair a pleasure to sit in while working or studying for long periods, and the firm lumbar support helps alleviate common lower back issues. Meanwhile, the premium faux leather is not only supremely comfortable, but is also the ultimate in durable materials and easy to clean. 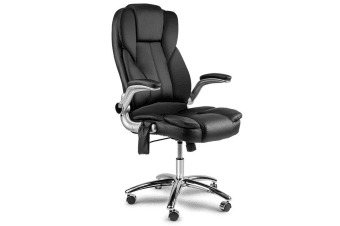 Moreover, the AVANTE Premium Executive Office Massage Chair features quality double stitching, thick padded armrests, smooth and sturdy gas height adjustment, high quality caster wheels, and a handy remote pouch. So take the stress out of work and experience remedial relief at your desk – order your AVANTE Premium Executive Office Massage Chair today!